Ironically, a movie about not making a noise is nominated for an Oscar for Best Sound Editing at this year’s Academy Awards. 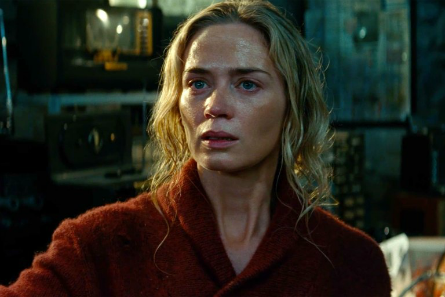 At a recent screening and Q&A session with the supervising sound editors from “A Quiet Place,” Eirk Aadahl and Ether Van Der Ryn talked about the sound structure of the film. Also in attendance was movie’s producer Andrew Form who said, at the time of this Q&A session, the film had grossed $340 million worldwide. Andrew said the first version of the script had more dialoug because it included flashbacks. The original script consisted of sixty-seven pages long. There were four scenes of diaglouge. Andrew first sent the screenplay to actor John Krasinski to play the lead. After he read it, he said he would love to play the lead. But, he wanted to re-write and direct it as well. This was two years ago. Andrew said “this movie was in his DNA.” At the time, John had just had his second daughter and has two other kids. John said this is a family drama more than a horror sci-fi. This is a sound designers dream, stated Ether. “Sound is a central character.” The family had to come up wih creative techniques to survive. Millicent Simmonds, plays John’s deaf daughter and is also deaf in real life, taught the cast how to sign language. That was one thing that was a must for John was to cast a real deaf child for that role. Ethan said Millicent said it’s the first time in her life that she felt like people understand her world. We use sound to balance in the world. If it’s completely silent, you fall down. Inside the world’s quietest room – the anechoic chamber at Orfield Labs in Minneapolis, you start hearing your heart beat loudly, blood pumping through veins, etc..
There’s not a version of the story explaining where the creatures come from. The sequence from mom’s (portrayed by Emily Blunt) water breaking to her giving birth took five days to film. Her scream at the end was the only one take that was done. Three times in the movie there is complete, absolute silence. The birth scene is one big sound arch. Ether explains that it starts low, and the sound gets louder as it progresses. Pictured: Emily Blunt, “A Quiet Place,” Paramount Pictures. The creatures are blind and use sound to navigate. Similar creatures to them that they pulled features from are: bats, and dolphins. The source sound for the creatures location changing was a stun gun opening up. Everything was C.G with creatures. John got into a CG suit once. John enforced on the set was “a quiet police.” He wanted a really, truly quiet space so that cast could really believe that they needed to be quiet. 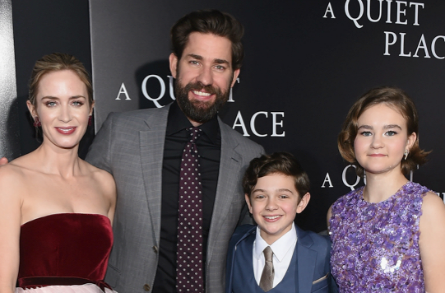 Andrew stated that the sequel to “A Quiet Place” is being written right now. It starts filming in July and set to open May 15, 2020. It has been released that John Krasinski will be returning to direct the sequel, with Emily Blunt also returning to her role as Evelyn Abbott. Perhaps will will see the return of Krasinski’s character, Lee Abbott who didn’t make it in the first one, in flashbacks. Also in talks to return are actors Millicent Simmonds and Noah Jupe who played the couple’s daughter and son. The first film seemed to be set-up for a sequel in that it’s never explained where these horrifying creatures who prey on sounds come from, along with the progression of the family’s discovery of how to destroy them. Ethan said some of the best feedback from the movie were some reviews where writers said they were suddenly hearing things that they never heard before . The reviewer went on to state that it forces the audience to open up their ears in a new way and to listen in a new way. Erik and Ether explained that they spend all day doing just that, and to that to an audience is a really cool thing! 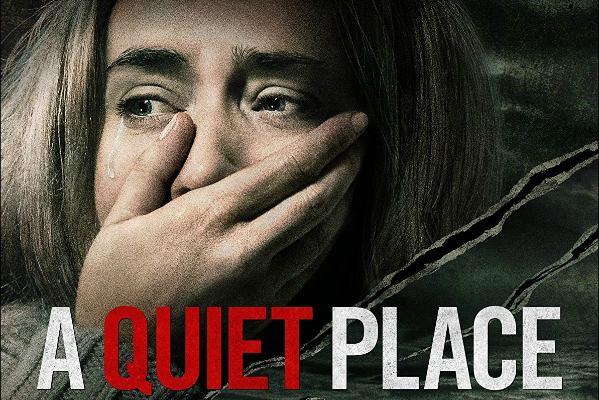 “A Quiet Place” is nominated for “Best Sound Editing” at the 91st Academy Awards and is currently available to view on DVD, Blu-Ray and streaming on Amazon Prime, YouTube, VuDu, and Google Play.